Specializing in health care marketing for nearly three decades. Offering a full range of services customized to meet your needs. Industry insight and practical tips to help your organization. We believe it takes a specialist to do a specialized job such as medical marketing. Because of our unique experience and expertise, we understand the ins and outs of medical practices of all sizes. We know how to develop relationships with other physicians, how to make patients feel positive about their doctors, and how to proactively position a practice within the overall community. In today’s business environment – and make no mistake about it, medicine today is a business – marketing is now more important than ever. From increased regulations and decreasing reimbursements to better educated patients and more sophisticated technology, the world of health care continues to change. That is why we work in close partnership with each of our clients to strategize and craft custom solutions that address these changes and chart a course for success. 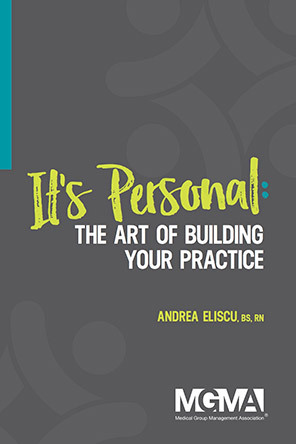 This book provides you tools to develop personal relationships with your patients, referring physicians and community to help you build a thriving practice that is fully prepared to succeed with the challenges ahead. Drive more business to your practice!